View o the auld pairt o the ceety o Nafplio frae Palamidi castle. Nafplio (Greek: Ναύπλιο, Nafplio) is a seaport toun in the Peloponnese in Greece that haes expandit up the hillsides near the north end o the Argolic Gulf. ↑ 2.0 2.1 "Twinnings" (PDF). 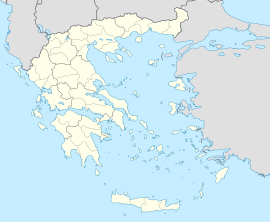 Central Union of Municipalities & Communities of Greece. Retrieved 2013-08-25. ↑ "Royal city of Cetinje". Retrieved 2013-09-21. ↑ "Office du tourisme de Menton". Retrieved 2013-09-21. ↑ "Niles Sister Cities". Official website. The Village of Niles. 2010. Retrieved 2010-01-04. ↑ "City council minutes" (PDF). Royan city hall. 2005-06-02. Retrieved 2013-06-02.